A friend recently commented that he sees me as one of the bravest people he knows because of the things I have faced and am learning to face as I heal. Of course, I do not see myself that way. But it did encourage me and helped to give me the following word picture. 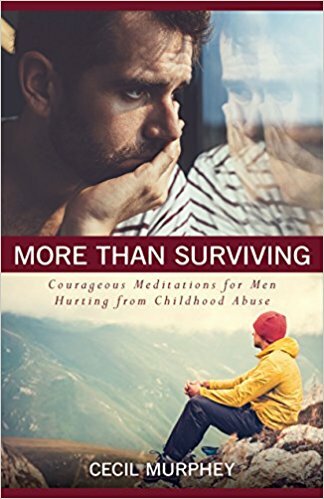 All who are willing to face the painful reality of past abuse are the brave ones—becoming children again, facing the monsters again, and finding the courage to see that the walls no longer imprison. God has never repented of choosing me; therefore I am beginning to repent of limiting who God has chosen me to be. I've lost count of the number of wives who've contacted me about their husbands' intense struggle over his childhood sexual abuse. Just before we married, Jim said, "I was molested when I was six." That was all—no details and nothing about his response, or even who did it. It seemed unimportant, like saying he received only a "C" in eighth-grade math. Now, after 18 years of marriage, he's struggling with his abuse and he's become a man I don't know. He's in pain and I can't seem to help him. When I said something, he angrily reminded me that he had told me about the abuse. Jim used the code words: "I was molested." I write code because he could have intended many different meanings. One is that he was testing her. He gave her a safe sentence and she didn't respond negatively. In fact, she apparently made no comment because she didn't hear it as a cry of pain, but only as a statement about his childhood. The code words protected him from having to say more and risk her disapproval of him. Second, he might have been exploring and for the first time, mentioned his abuse. By receiving no positive feedback, he didn't feel secure about pursuing it. Third, he might not have been prepared to face his trauma. If he had been ready, his words would surely have hinted at or expressed his inner battles. The fact that he waited 18 years would make me inclined to accept that reason. When a man is ready to deal with the anguish of his abuse, he's usually ready to talk. When Jim spoke in code words and she didn't get his message, that may have said to him that she didn't really care, didn't want to know, or that it wasn't safe for him to say more. If he intentionally used code words, he might have been thinking, If you got the hidden message you'll know what's inside me. One survivor told me, "I guess I expected my wife to read my mind. When I mentioned it a few days after we married, she acted as if it were no big deal, so that's how I treated it." He went on to say that he pushed away the pain as long as he could. I'm not blaming the wives, partners, friends, or parents for not understanding. Code words hide the reality. They also say that the person isn't ready for full disclosure. And for those who feel guilty for not having been a super sleuth, please remind yourself that you did not know. He didn't speak clearly enough for you to perceive his meaning. There are two significant things you can do for him, whether after 18 or 38 years together: First, remind him that you love him and that hasn't changed. Second, listen—uncritically. You're involved but it's his problem. Let your face and your reaction be the mirror he needs to see compassion for himself. One of the most difficult things I’ve faced in trying to recover from childhood sexual trauma is forgiving myself. It’s so easy to say that it wasn’t my fault, but it still feels like it was my fault. It still seems like I should have done something to resist my perpetrator—scream or cry out—but I didn’t. The most shameful part to me now is the fact that a lot of it was pleasurable to me. I craved the attention and found something oddly satisfying in the secrecy of it all. I have learned that these feelings are common to abuse victims. There was pleasure in the attention. There was something I needed in the physical touch that I wasn’t getting in a healthy way in my family unit. I was so young that the moral implications of the perpetrator’s behavior with me were completely unknown. I simply couldn’t know that this behavior was wrong and would have such devastating effects later in my life. One of those horrible effects is the pervasive sense of guilt over the abuse. There’s no changing that it happened, so my only hope is in forgiving the abuser and forgiving myself. Neither is easy, yet both are necessary if I’m going to recover from it. Somehow not only do I choose to release the perp from his unforgivable actions, but I have to forgive me, too. From infancy emotional scripts are being created in our minds. We learn without even knowing we’re learning that mother is safe and cares for us. We learn that significant others are available to meet our needs and that we can trust them, too. Unfortunately, we also learn negative emotional scripts when mother isn’t available and, worse, when she or someone else near to us is abusive. Those of us who’ve been sexually violated in childhood were infused with a commanding negative script (maybe many of them) that we carry into adulthood. This damning script says you are scum. It says you are worth nothing more than a rag and you deserve to be used this way. It takes great faith and perseverance for anyone to overcome these pernicious inner messages that seem to come out of nowhere. Many of our relationships have suffered for these scripts. Certainly we’ve suffered from them inwardly even if we’ve had the willpower to act outwardly as if we were “just like” everyone else. But can a powerful mental script be broken or changed? In my experience the answer is yes with some strong cautions. Through therapy, medication, and a loving network of people around me I am getting better, albeit slowly. The abusive flashbacks are less frequent and shorter. The triggers that would hurl me headlong into shame are losing their strength as I grow in my understanding that I have a lot more control over them than I ever knew before. I am growing more hopeful that the thoughts and deep emotions that have controlled me, these negative scripts, will eventually be completely erased. I’m inspired by the Old Testament story of Joseph. He came from a highly dysfunctional family. His father had two wives and was a deceiver who played favorites. Joseph’s brothers hated him and sold him into slavery. Over the next 13 years he was carried off to a foreign land, mistreated, falsely accused, imprisoned, and forgotten. Through a series of miraculous events, Joseph the Hebrew slave became second-in-command of the powerful nation of Egypt. Several years later, a famine struck the region and when Joseph’s brothers come to Egypt for food, they find themselves face-to-face with their long-lost brother. Joseph could have done whatever he wanted with them. His brothers were terrified and expected death, but Joseph embraced and welcomed them. He chose to forgive. "You intended to harm me, but God intended it all for good," Joseph said (Genesis 50:19). Joseph believed evil could be turned around and used for good. 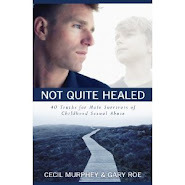 He chose to look at the positives instead of dwelling on his brothers’ rejection and abuse. He refused to be controlled by the past. He forgave his brothers, and in doing so freed himself. That story tells me I can shed the abuse of the past. I know it happened, and I accept that. Now I’m trying to turn it around and use it for good, in my life and in the lives of those around me. and use it for good. Sometimes I get upset and ruffled because I expect life to be smooth. That’s ironic considering my life since childhood has been a painful war. 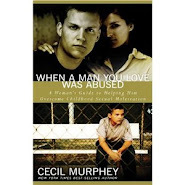 Sexual abuse has all kinds of horrific aftereffects. We live with the results of the abuse and our lives are anything but smooth. What if life is really about overcoming difficulty and obstacles? Maybe part of it is designed to bring me to the end of my own strength so I can begin to trust and experience the freedom that comes from not having to be in control. Instead of exhausting myself running from the pain, I can choose to turn around and embrace it. As I allow myself to feel the pain, I begin to accept what happened. I’m less controlled by my past and live with more freedom. I am less self-conscious and engage more naturally with others. Healing is not smooth or easy. It can be upsetting and painful. But it is good. Very good. but both can be very good.